Space Jam 2 is finally, officially happening. 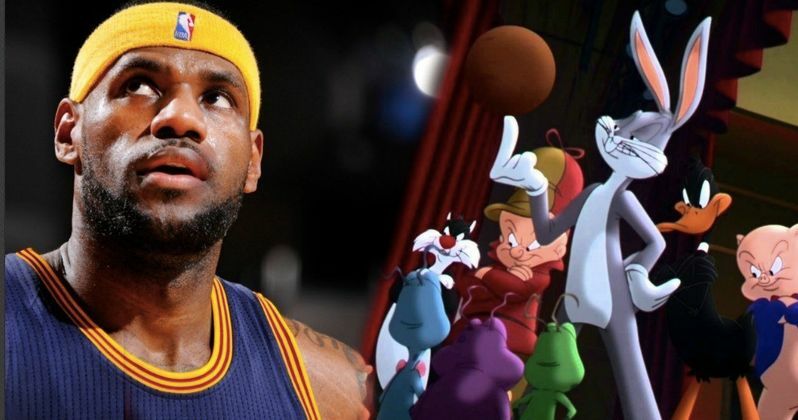 LeBron James has now been confirmed to star in the sequel to the 1996 basketball movie that paired NBA legend Michael Jordan with Bugs Bunny and the rest of the Looney Tunes. The biggest and most important wrinkle is that Black Panther director Ryan Coogler has boarded the project. Coogler is a huge get for the long-gestating sequel as he is one of the most sought-after talents in the industry, given his recent track record. According to a new report, Ryan Cooglerr will produce Space Jam 2 alongside LeBron James, who has long been rumored to be the star who will continue the franchise. Coogler will not be directing, however. Terence Nance, creator of HBO's Random Acts of Flyness and director of The Oversimplification of Her Beauty, has been tapped to helm the project. We recently reported that Nance was in consideration, but it appears as though he's locked down the gig. James had this to say in a statement. Fast and Furious franchise director Justin Lin has been attached to Space Jam 2 for quite some time, but it never quite got going with him at the wheel. Given Ryan Coogler's name being attached now, following Black Panther's record-breaking $1.3 billion take at the box office, which came after the very successful Creed, it's likely things are going to progress much more rapidly. For his part, LeBron James praised Coogler's vision on Marvel's solo superhero effort. "I loved his vision [for Black Panther]. So for Ryan to be able to bring that to kids, it's amazing." This project, packaged in this way, comes with some interesting, grander implications. There is a running debate as to who is the greatest of all time in the game of basketball; Michael Jordan, who has six NBA championships to his name, or LeBron James, who still has years left to add to his growing legacy. Putting him at the center of Space Jam 2 is certainly symbolic in that way. To what degree that helps settle the debate? We'll have to wait and see. LeBron James has also become a rising talent in Hollywood, producing projects like a House Party remake and developing shows for NBC and The CW. He's also had starring roles in movies like Trainwreck. The original Space Jam grossed $230 million worldwide and remains the highest-grossing basketball movie ever made. Space Jam 2 does not currently have a release date, but it's expected to shoot during the 2019 NBA offseason. We'll be sure to keep you posted as new details are made available. This was first reported by The Hollywood Reporter.